Purchasing a home is a big decision. There is a lot to consider. There are no real secrets for buying a home as much as there is advice. Even if you have bought a home in Nevada before, you may not remember every step in the process. Here’s a guide on How to Buy a house from getting your loan to how to make an offer to how much it will cost you to buy a home. And if you need a written 1st time home buyers guide to buying a home, please let us know. Close on your home – Congratulations! The hardest part of the home-buying process is figuring out what is affordable. Some first-time buyers rely on the amount the bank is willing to lend. Others use a lender’s mortgage calculator to crunch a couple of numbers. However, banks are often willing to lend much more than you can afford, and mortgage calculators don’t always tell the whole story. To learn how much home you can afford, start with the basics. How to Start Buying a Home – How Much Can You Pay Each Month? Rather than focusing on the purchase price or lender offers, decide how much you can spend on a mortgage payment each month. A common rule of thumb is that your mortgage payment should be between 25 and 30 percent of your income. In truth, 30 percent is too high for many people. The only reliable way to determine what you can afford is by adding all of your monthly bills and expenses. Make sure to get estimates of what your new utilities will cost based on the size of the home you plan to purchase. For area-specific rates, consult local service providers or your real estate agent. The next step of the process is to determine how much you can put down on a home. Save as much as you can, but make sure to set aside some money for appraisals, inspections, closing costs and moving expenses. If you can save enough to put 20 percent down, you will be much more attractive to lenders. Additionally, loan products with a 20 percent down payment requirement are easier to obtain if your credit is less than perfect. Private mortgage insurance (PMI) is what lenders use to protect themselves from risky borrowers. If you put down less than 20 percent, you will probably have to pay PMI every month as part of your mortgage payment. As your down payment decreases, PMI rates go up. Speak to as many lenders as you can to learn what rates to expect. Make sure to ask how long you will need to pay PMI. Some loans, such as those backed by the Federal Housing Administration, will require you to pay PMI for the life of the loan. Other products will allow you to cancel PMI after you have paid enough towards the principal balance. Interest rates can make or break a loan deal. A slightly higher rate can add a large amount to your monthly payment and end up costing thousands of dollars more over the entire loan term. You can also look at mortgage products that allow you to purchase discount points. Discount points will cost one percent of the loan amount and will usually lower the interest rate by 0.125 percent. Paying for discount points is often a good option if you don’t plan on selling or refinancing the home in the foreseeable future. Getting Home Owners Insurance may require some persistence on your part. 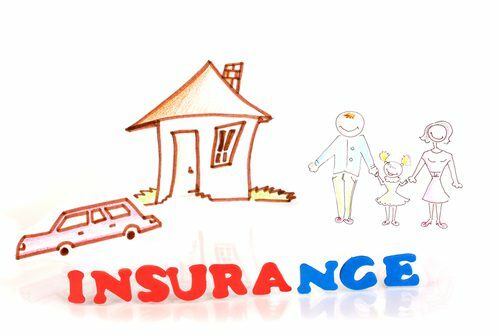 If an insurance agent thinks you are just window-shopping, they are likely to give vague answers. It is also difficult to give ballpark numbers because of the many variables among homeowner’s policies. To avoid the hassle, start by asking family and friends what they pay for homeowner’s insurance. If you don’t know anyone in the area you are shopping, talk to your realtor. A realtor’s referral will show insurance agents that you are serious about buying a home, and they will be more likely to spend time answering your questions. Once you’ve done your homework, look online for a good mortgage calculator. Keep in mind that not all calculators are created equally; some are designed to paint an overly optimistic picture. A good mortgage calculator will allow you to enter all of your data, including purchase price, interest rate, loan term, PMI rate, taxes and insurance. In addition to providing monthly payment information, it should also generate an amortization chart so that you can see how your loan will break down over the years. Simply adjust the purchase price until you find a monthly payment in your comfort zone. The purchase of your home is most likely going to be the largest and most important purchase of your life. Getting out there and looking at real estate might be fun and exciting, but you don’t want to get your heart set on a house only to find out that you won’t be able to qualify for it. The process to buy a home includes gaining pre-approval which can cut through the mystery and give you an idea of the price range you need to be looking in. It saves time for you, the lender and the seller. Let’s explore what the process involves for each party. You’ll want to sit down with your potential lender before you shop to purchase a house and have them analyze your entire financial history and abilities so that they can give you a tentative approval for a certain amount of money. They will present you with a letter that states how much money they are willing to commit to financing you for the purchase of a home. Since the potential lender will have to sift through bank records, pay stubs, payment histories and credit scores it could anywhere from a couple of days to a couple of weeks or more. It is worth the time and effort so that you know exactly what you can and cannot afford when it comes to a home for sale. The real estate market is very competitive, so having the advantage of a pre-approval letter can make all the difference in getting the home you want and need quickly. As a buyer, it is critical that you provide the possible lender with all of the documentation they need to give you a true and accurate assessment of your financial abilities to pay a mortgage. Tax returns, life insurance policies, stocks and bonds and existing real estate that you have successfully paid for in full are all helpful to painting a good financial picture. Pre-approval amounts will be dependent on your ability to pay and the payment history that you have. You need to make sure that you walk away with a pre-approval rather than a pre-qualification letter. A pre-qualification is simply a quick assessment on your ability to jump into the real estate market. The pre-approval letter will show exactly what house price you can actually afford with your current budget. A seller doesn’t want to waste a lot of time showing a home or having to do paperwork that simply falls by the wayside if a potential buyer cannot score a mortgage. Their time is valuable and they need to know that the potential buyers (YOU) are serious and have the income needed to purchase a home. Once the baseline of pre-approval is complete, your agent can bring the right buyers and sellers together. The real estate agent can put the right budget with the most affordable properties in that price range. They work much like the conductor of an orchestra. The great thing is that this process of being able to know ahead of time the price range to look in saves time, money and frustration. It is just as unpleasant for the agent to learn that a buyer doesn’t qualify as it is for the potential buyer. Selling homes is what a real estate agent does for a living. The faster and more accurately they can make the good matches to buyer and seller the more money they make. It is a win-win situation for all involved. Although the standard answer is 7 years, it really depends on your personal history, credit store, current employment and so forth. Best bet is to connect with a lender and get an inside look at your finances today. Your agent can connect you with a lender. 702-604-7739 or email sold@ballennetwork.com to get started. Deciding that you are ready to buy a home is an exciting first step, but you won’t be able to proceed with the home buying process until you have gotten a lender onboard. Many people are surprised when they head to the bank and find out that they don’t meet the strict criteria to qualify for a mortgage. Here is a look at four common barriers that you may need to overcome in order to secure a home loan. Easily the most common reason why you might be denied a mortgage, credit woes can put a halt to your home-buying ambitions before you even get the process started. Over the years, you may have gotten lazy about always paying your credit cards on time or spent a little more than you could afford. Unfortunately, while this sort of behavior may feel like it shouldn’t be a big deal, blemishes stay on your credit report for seven years. A mistake you made when you were 25, therefore, could still keep you from getting a loan when you’re 30. An obvious advantage and probably the main one is that there will not be a mortgage on the property. By not paying a monthly mortgage payment, immediate equity in the property is realized. The owners see immediate results by not having a large monthly payment. Sellers love all-cash offers. They are more apt to accept an all cash offer over an offer that requires the buyer acquiring a conventional or government subsidized loan. Many intricacies can pop up during the loan process. For instance, the buyer may not qualify for a loan; the house may not pass inspections, or any of a number of other circumstances. These issues will not only delay the closing process, but could cause the entire sale to fall through. With a cash sale, there is usually no appraisal contingency. Most appraisals are based on relying on comparable sales. By choosing three similar properties, adjusting the price based on the different property amenities; appraisals are an average of the sales price. If the home does not appraise for the purchase price the buyer may be required to put more money down or the buyer will have to adjust the price down to the appraisal value. 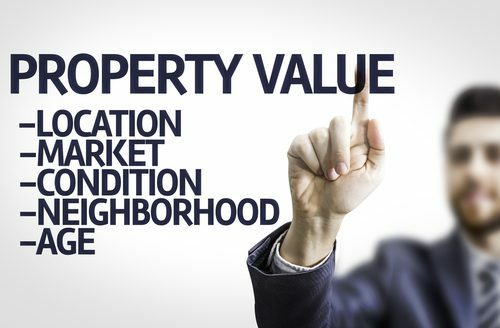 Appraisal/purchase price difference can result in nullifying the sale contract. The closing process can take place quicker. If the sale is an all cash sale, the buyer does not need to wait 30-60 days to close while waiting for final loan approval. The sale can close once the home inspection and other contingencies have been satisfied. A streamlined closing is advantageous to the seller. Closing can even take place in as little as 7 days. Market fluctuations do not matter. The real estate market can be volatile. Home prices can go up or down during a thirty-day period. If the fluctuation in the market price falls, the appraisal rate will also go down, making a loan for the purchase price difficult to get. If the loan contingency is not met, the sale is at high risk of falling apart. Closing costs are lower with cash. Added fees for a bank attorney or mortgage broker are not necessary. This is about a $750 fee. Add to that $300-$600 up front for property taxes deposited into an escrow account. There are no loan origination fees or other lender fees assessed on buyers who take out a mortgage to purchase a home. Title insurance will not be required. Title insurance protects mortgage brokers, banks, and buyers, from problems with previous issues with ownership, property liens, or back property tax liens. Title insurance varies, but on average runs $1,000 to $2000. An all cash buyer can still purchase title insurance and it is wise to do so. However, the cost of title insurance when no lender is involved in the sale is about one third less. The ability to pay all cash to purchase a home has definite advantages. Sellers may even take less than the asking price to a buyer that makes cash offer. Overall, few people can afford to pay this way, but for those that can the upside for both buyers and sellers are numerous. Depending on the property itself, or whether or not the property is a fixer upper, immediate equity appeals to everyone. By not having to pay a monthly mortgage payment, the purchaser can save thousands in interest payments. All cash sales will result in an easier sales process overall. 1.) Your Home should Fit the way you live or WANT to live. Space and features for the entire family should be considered. If it’s just you, you get to choose for yourself then and that’s wonderful too! 2.) Make a list of your priorities. You’ll want to consider location as a priority although here you can make it to one side of town to the other in 30-40 minutes. Should your home be close to a particular School? Do you want to live near work? Are you curious about what transportation is nearby? Do you want a pool? Single story or Two Story? HOA? Do you need land or special zoning such as for horses? 3.) How large should the home be? Does the lot size matter? Fair housing laws prohibit your real estate agent from guiding you towards or away from a particular neighborhood. You are best to do your own research on the general areas based on what’s important to you. Your agent can probably get you a zip code map and you could begin there. In Southern Nevada, there are a lot of zip codes to look at. You may want to consider areas by average home sold price range so you know where you are able or have the desire to shop. You can also explore neighborhoods specifically. 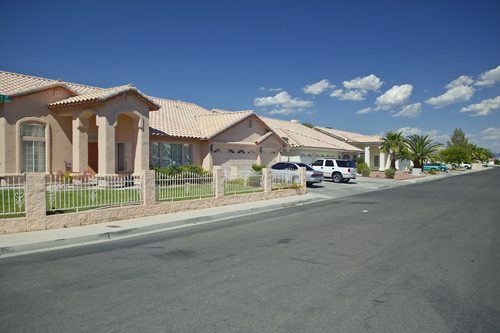 Las Vegas is made of Master Planned Communities that each offer their own amenities and lifestyle. Each neighborhood here has a subdivision name as well. Some communities will be part of at least one home owners association. If that’s important for you to know, be sure to ask your agent as you are browsing where to live. When you are in the process to buy a home, and you have school age children, you might want to pick a neighborhood based on which school it is zoned for. All schools here are part of the Clark County School District. The house address itself is specifically zoned for a particular set of schools. These are generally elementary (K-6), Middle School (7-9) and High School (9-12). We do have 6th grade centers here as well in some areas. Although a real estate agent is required to list these schools in the MLS when they place a home on the market, they aren’t always up to date. We suggest you check the Clark County School District Zoning page before you make an offer on a home. Your agent can also verify this for you. Bring a camera or use your smart phone to take pictures of your favorite areas. When you get home, catalog the pictures by address so you can quickly review and decide which home you make like to make an offer on. Make Notes on what you like and don’t like about each house. If you have family members along with you, allow them to weigh in. Score each house on a scale 1-5 or 1-10 and rate it based on the appearance and features and how well it fits your needs. Allow the additional family members to place their rating. Make a note of any items that you need your Realtor® to go back and check on after the tour is complete. Finish with this simple question: “Is this a house I would make an offer on?”. By the way, if you ask yourself that question first, you can get in and out of houses much quicker. You are not obligated to view the entire home. If you know at first glance that it is not right for you, especially if it’s not occupied, save everyone time and pass.Of course if the home is occupied, you may feel the need to take the tour as to not be rude, and that’s understandable. Once financing is complete, and you have determined your purchasing power, your designated agent with The Ballen Group will schedule a home tour. Allow approximately 2-3 hours for your tour depending on your home selection. You may choose to ride along with your agent, or follow in your own vehicle. Our experience shows us that most buyers will narrow down their selection to 4-5 homes in which they will choose one. When there are more homes than that on the tour, it probably means the agent didn’t narrow down enough “specifics”or you are in luck with massive inventory in your area and price range and are not too “picky”. You can help narrow down time by browsing through the photos and home features in the MLS listing your agent has sent you and eliminating any homes that are not strong candidates for your selection. Be prepared to write an offer. There is not much sense in touring homes when you are not prepared to buy, as those homes are certain to not be available at a later date. If we have done our job, as your eal estate agent, you are prepared, have selected strong candidates, have your financing, have a comfortable knowledge of the process and you are ready to buy. When first-time homebuyers begin the house hunting process, they often don’t realize just how many steps it entails. From securing a loan to finding a property you love to negotiating the purchase, it can feel like the process will never end. Luckily, if you have made it to the offer stage, the finish line is finally within reach. Together with your real estate agent, you can make a bid on your dream home and hopefully seal the deal. In order to improve your chances at getting the house, however, your offer needs to be as strong as possible. Here is a look at some things to consider as you work with your real estate agent to draw up your contract. Unless you are acting as your own real estate agent (in which case you should probably have a lawyer draw up the offer for you), you shouldn’t have to be the one doing any paperwork. Still, it’s important for buyers to understand the sorts of terms and contingencies a typical offer contains. In addition to the basics–like the address of the home and all of your personal details–the agreement will lay out the sale price, a target closing date, the amount of earnest money you will be required to put up, and any other contingencies that you are asking for. Your offer will also give a timeframe during which the sellers need to respond. Obviously, the element of the offer you are likely to be most concerned about is the price of the home. First-time buyers often have trouble deciding how much money to offer on a home, which is why it’s very important to work with someone you trust, such as a member of Ballen Network. Remember that the housing market determines how much a property is worth, so your agent will look at similar homes that have recently sold in the area in order to help you come up with a reasonable offer price. You should go into the negotiating process expecting to receive at least one counteroffer from the seller (so it’s rarely a good idea to offer top-dollar for a home right off the bat). You may also decide to make a lowball offer just to see how flexible the seller might be, but you need to be careful not to offend the seller by making an offer that they feel is way too low. While price is usually the most influential factor when a seller decides to accept or reject an offer, there are other terms and contingencies that may impact negotiations. Almost all real estate professionals suggest that you insist upon a home inspection, for instance, so that you have the ability to back out of the purchase if you find out the property has problems that aren’t obvious to the naked eye. You may also want to write contingencies based on your ability to secure financing or sell your current house (not an issue for first-time buyers). Something as seemingly arbitrary as your chosen closing date might make a seller more likely to accept your offer–especially if they have already bought a new property and are anxious to move out. As a general rule, you should choose your offer terms carefully based on the specifics of the home you are considering. Make sure to find a balance between making your offer as appealing as possible and protecting yourself against any potential issues. The final step once you have come up with an offer you’re happy with is presenting it to the seller. Negotiations can often feel like a game of telephone as your agent communicates with the listing agent, and then the listing agent communicates with the seller. You have the right to back out of your offer for any reason up until it is accepted. If the seller comes back with a counter offer, you also have the choice to either accept the agreement or write another counteroffer yourself. Once both parties agree on an offer, you will both be bound in a contract, and you may not be able to change your mind without losing some or all of your earnest money. When you have finally sealed the deal, the home will officially be “under contract” as you await your chosen closing date. Barring any unforeseen issues, a signed contract essentially means that you have bought yourself a house, so you can congratulate yourself on finally reaching the end of a long process. What’s usually Included with the Home? Disputes often arise in home sales when buyers and sellers go into a deal with different understandings about what property will be included in the sale. While the law provides some guidelines, it isn’t always clear and there’s no guarantee that the other side will be aware of it or follow it. The best course of action is to include each specific item you care about in writing — anything can be bought or sold even if it might not legally be part of the home purchase to begin with. Below are the general practices with regard to various items to use as a starting point in negotiations. 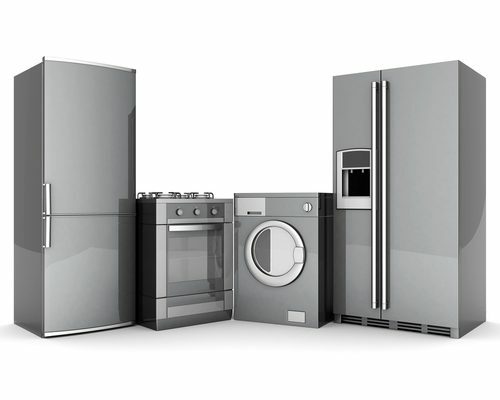 Generally, the rule is that permanently attached appliances stay and freestanding appliances go. Permanently attached means built into the home such as a range, cabinet-mounted microwave, or dishwasher. Freestanding items include refrigerators, washers, and dryers no matter how conveniently they fit into a space specially designed for that type of appliance. If you are impressed by a home with high-quality appliances, be sure that they are specifically included to avoid them being switched with cheaper appliances. On the other hand, if you want something out, have that included to avoid the time and expense of having to dispose of it yourself. Air conditioning and heating systems follow the general rule of other appliances. Permanently installed central or ductless systems stay with the house, but window-mounted units go. In addition to the usual precautions with appliances, be sure to determine the age of the system. Older systems may need to be replaced or need new ductwork that can be very expensive. Newer systems may still be under a transferrable warranty that may cover repairs for years. What is and isn’t permanently attached becomes a grayer area with lights and ceiling fans. They may be attached overhead, but they can and often are quickly removed. This is especially true of chandeliers, other decorative lighting, or top-of-the-line ceiling fans. While they probably should be included along with the light bulbs inside, be sure to include them in the contract to avoid unpleasant surprises. Window coverings usually seem like they should be included, at least to buyers, because they are almost always custom-fitted to that home’s windows. However, blinds, curtains, and curtain rods are commonly removed by sellers. Curtains might be reasonably removed because they can often fit various sized windows and are bought to match the furniture. The removal of curtain rods or blinds, however, leaves empty holes in the wall, so they are more commonly included. Decorations and furniture are almost never included no matter how well they might fit the space. This includes mirrors, bookshelves, and mounted art. If a buyer sees an item that they think just makes the room, they can always ask the seller. The seller might want to leave it because it is hard to move or won’t fit their new home, or might be willing to part with it for a price. Traditionally, electronics were never included in a home sale unless specifically added as a bargaining chip. With wall-mounted TVs, built-in stereo systems, and more complex home entertainment systems becoming more common, buyers have increasingly argued that they should have been left when the seller took them. Electronics might be bargained for, but they should never be assumed to be automatically included in the contract. Homes with large yards often have play equipment, above-ground pools, sheds, dog houses, or other structures that aren’t part of the home. The fact that they are usually prefabricated and dropped off with a truck often makes them seem like they are removable no matter how well they are attached into the ground. In some cases, a buyer might want an item removed while the seller was planning to leave it behind. These items are usually large enough that whether they will remain should be included in the listing, but never make any assumptions if the listing doesn’t explicitly say yes or no. The earnest money deposit is money that is placed into an escrow account. It is sort of like a security deposit. It informs the seller that you are a serious buyer. The funds will be applied towards the closing of your transaction. This is required in all real estate contracts. If you don’t have at least one percent of the sales price to offer as an earnest deposit, you should wait on placing any offers until you have the funds available. If you are making an offer in a competitive market, you may want to increase your earnest deposit to make your offer stronger than the other offers. The earnest money deposit is placed into the escrow account within a few days of an accepted offer so you need to make sure you have the funds available for immediate withdrawal. If you decide to cancel the contract while you are in escrow, there is a chance that the seller may be entitled to your deposit. Make sure you read the contract thoroughly so you will know what to expect. Know this, even if you are within your full rights to cancel the transaction and receive your earnest money back, in some states like Nevada, the seller has the right to hold it up during a dispute over the earnest money. When you place your earnest money check in escrow, there is no guarantee of a quick return should you decide not to by the home for any reason. Ask your REALTOR® about your state laws. Also, be sure to read your counter offer clearly. It’s not unheard of for a seller to ask the money to “go hard” after a certain point. That would mean they receive the earnest money in full before closing. Your earnest money should not be taken lightly. By definition: Earnest: resulting from or showing sincere and intense conviction. If you don’t intend to buy, don’t put earnest money on the table. One of the most confusing processes for the uninitiated to go through can be buying of a home. At times it may seem that people are speaking a different language than they have ever heard before. This situation to often leaves a home buyer having to take on blind faith that the brokers, attorneys, escrow agents, inspectors and mortgage agents know what they are doing and acting in the buyers best interest. Lori Ballen and associates don’t want their clients to ever feel like they are in the dark. The escrow or closing process actually begins once the buyer and the seller have agreed on a price and all the conditions for the sale. At the same time that the sales agreement is signed your real estate agent will collect an agreed upon percentage of the sale price from you and deposit it into an escrow account with an escrow agent. This known as earnest money and as the name implies it is to show that you are earnest in your desire to buy the property. Think of it as a deposit. 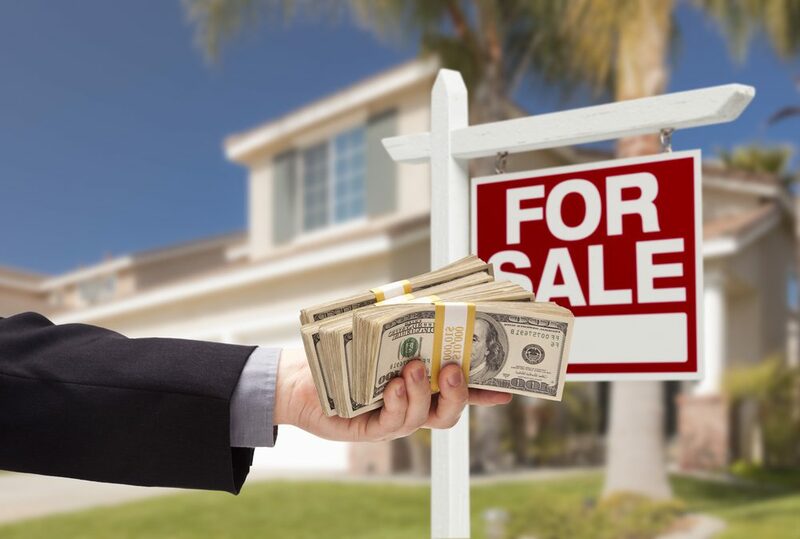 An escrow agent is a neutral third party who actually handles all of the funds and documents associated with the buying and selling of the property. Not being a party to the sale, in any way, their function is to make sure that all parts of the sale are executed in an equitable and legal manner. Like a referee or umpire the make sure the rules are followed and that everyone plays fair. There will be an agreed upon set of Due Diligence time in your purchase agreement. You actually request this time when making the offer. You are asking for a short period of time in which you will inspect the home, complete loan requirements, read the Home Owners Documentation and investigate anything else that you would need to do before the property closes. Make sure you discuss this with your agent so you know what is expected or offered during this time. Before purchasing a home in Nevada, a buyer usually turns to a home inspector to receive a qualified, unbiased account of the state of the property. A home inspection is a noninvasive, limited visual inspection of a home. It identifies the components of the home that are unsafe or not meeting performance expectations. The purpose of the inspection is to evaluate the home and enable the potential buyer to make an educated decision regarding its purchase. Many times, a contract to purchase a home includes a contingency clause stating that the contract is invalid until the buyer has had the opportunity to verify the condition of the home they are purchasing. The inspection is generally carried out by a professional home inspector that is trained and certified in home inspections. InClark County Nevada, home inspectors receive their certification and regulation through the Nevada Real Estate Division. Once the home inspection is complete, the buyer should evaluate whatever issues the inspection brought to light. As soon as possible, the buyer should make a list of the issues he or she believes the seller needs to address before closing on the property, and present that list to their Real Estate Agent. In Nevada, it can be either way. Typically though, the buyer pays for their own home inspection. It is not uncommon to see buyers waiving home inspections when purchasing distressed properties since the homes will be sold ‘As Is’ quite often. A good Real Estate Agent such as The Ballen Group at Keller Williams Realty would suggest that you have the inspection anyway. During the Due Dilligence process, you would be able to choose not to buy the home due to condition. Better to know in advance what you are buying whenever possible. When you’re buying a home, there are so many things to make sure that you do. You have to hire a real estate agent, find the perfect home, make an offer, and get a mortgage loan along with a multitude of other to-do’s. Once you’ve finished all these things and the home is nearly yours, it’s important to do a final walk through. Before any closing documents are signed or you move any of your personal belongings in, this is the final step in a home purchase. These have to be done between a week and 48 before closing to ensure the house is what you expect as-is. A final walk through is different from all of the earlier viewings because it is the buyer’s last chance to go through the house and make sure that it is in the condition that your contract specified. It allows to you make sure any requested repairs or changes have been made accordingly, and to make sure that the seller did not cause any additional damage when moving out. Occasionally, a hasty seller or a reluctant tenant can damage the house while moving, leave a mess or leave behind some of their belongings that you don’t want. You also need to make sure that any appliances or other items that you negotiated for have been left behind and not accidently moved. The walk through is the best way to make sure that when buying your new home, that there are very few surprises lurking anywhere. The walk through should occur close to the closing date, and preferably during daylight hours so that you can see everything in bright, natural light. Make sure that you also bring a flashlight for any tight spaces, closets, attics or basement areas. Bring both your real estate agent and a copy of your contract to review as you look through all the details in your home. This will help remind you of everything that you and the seller agreed upon while you drafted up the final contract. It’s important because usually it has been weeks since you last saw the house and you may forget a few things. Once you do the final walk through and sign the final closing papers, you adopt every aspect of the home as-is and you can no longer hold the seller accountable. Make sure that no matter how excited you are about your new home, that you take the time to examine every detail. Check every room and the outside property because once your new home exhilaration wears off, you’re stuck with everything – good or bad. What is the difference between a home inspection and a walk through? A home inspection is done by a professional home inspector and will look for major structural issues like crumbling foundations, outdated wiring and plumbing, or roof issues. The inspector then forwards his report to the buyer’s real estate agent or directly to the buyer and it can be used to negotiate repairs or lower prices. This can help the potential buyer to feel like they are making an informed decision before they make an investment in a new home. This way there are very few hidden defects that could be discovered after purchase. This differs from a walk through because it’s usually done way before any offers are made and usually delves deeper into the home than a buyer with little construction knowledge can. The walk through is a last minute check before your final purchase. When is the best time to schedule my walk through? 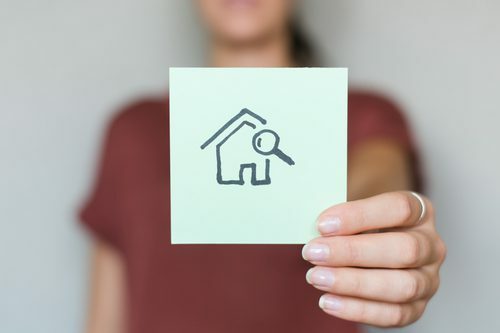 Usually, you want to schedule your walk through as close to the final closing as you can so that you see your new home at the last minute as possible. That way you can lessen the chance of any damage occurring before you sign on the house. In the Vegas real estate market, for example, it’s most common to do a walk through 24 hours before closing. While typically for a walk through, later is better, if you’re contract states repairs that the seller is supposed to make, you should schedule two walk throughs. That way you can review the changes and still have time for any necessary negotiations or additional repairs if you are not satisfied. Don’t be afraid to be vocal about your concerns if something appears to not meet the conditions of your contract. Communication is vital between buyers, sellers and real estate agents to make sure everyone is happy with the settlement. The mortgage appraisal normally entails a visit by the lender’s surveyor to check the property is not being sold at a vastly inflated price, and that there are no obvious structural problems. A home inspection, on the other hand, tests the construction of the walls, ceilings, roof and other structural elements of the building, evaluates the driveway, landscaping, drainage and exterior, checks plumbing, electrical systems, HVAC equipment, furnaces, smoke detectors and even appliances. In other words, it’s a detailed report of the home’s condition that raises any red flags for potential buyers. In Nevada, you can Expect to pay $350 and up for a decent home inspection. Closing costs are the fees charged by mortgage lenders and third parties related to the purchase of your home. They include a fee for checking your credit report, loan origination fee, government recording charges, appraisal fee, title service fee and title insurance. Some buyers are able to negotiate with the seller for a contribution toward these costs; otherwise, expect to pay between 2 and 5 percent of the purchase price in closing costs. According to a recent survey, on average buyers pay around $3,700. As a homeowner you pay an annual property tax to you county or municipality. The amount depends on the appraised value of your home; the more your home is worth, the more you should pay. 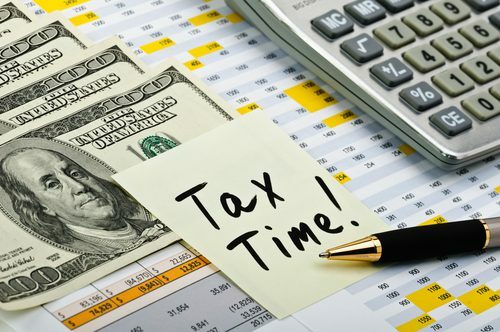 Because taxes are set by local government, the amount you pay each month may go up, even though you have a fixed-rate mortgage. 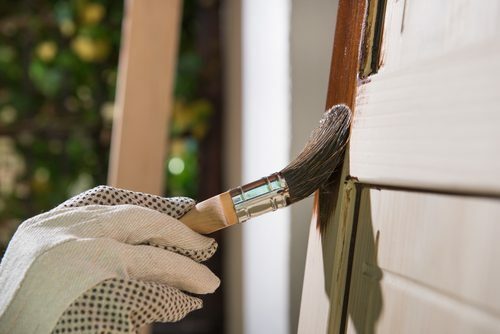 Any home improvements you make that increase the value of your home may also raise your tax bill. If you take out a conventional loan with a loan-to-value ratio (the amount you borrow compared to the value of your home) of 80 percent or more, then you likely will pay private mortgage insurance. PMI pays the mortgage company if you don’t make pay your mortgage. Typically, the insurance premium is added to your monthly mortgage payment, but that payment reduces as you pay down the loan and stops when you have 20 percent equity. FHA borrowers always pay mortgage insurance for the full lifetime of the loan. Homeowners insurance pays out if your home is damaged or destroyed by any of the calamities listed on the policy. The more risks the policy covers, the higher the premium. Homes in earthquake, flood or hurricane zones may need additional insurance. In most cases, the mortgage company asks you to pay your property tax and insurance premiums into an escrow account each month. The lender, via an escrow company, takes money from the escrow account to pay your bills. This gives the lender peace of mind that your bills are being paid on time. Homeowners association and condo fees pay for communal expenses, such as painting the lobby, landscaping and cleaning the communal pool. They are also money out of your pocket. Ask to see the HOAs financial document before you commit to buy, and check that you can afford the payments. Failing to pay an HOA bill has serious consequences. In most cases, the HOA can fine you. In serious cases of default, the HOA may foreclose your home. Unless your family and friends are prepared to help you shift boxes into your new home, a moving truck is inevitable. Costs vary, depending on whether you hire a truck and move yourself, or call in a professional moving company. The further you have to travel, and the more stuff you have to move, the more you pay. Most companies can give you a quote over the phone. When the keys are delivered you’re on your own: which means that if the pipes burst in the early hours of the morning, you’re the one who has to fix it. Having a few DIY skills can help keep the costs down, but there are some things, such as mitigating mold in a damp basement, that you may not be able to do yourself. Home maintenance costs run, on average, to 1 to 2 percent of the home’s value each year, though older homes may cost more. 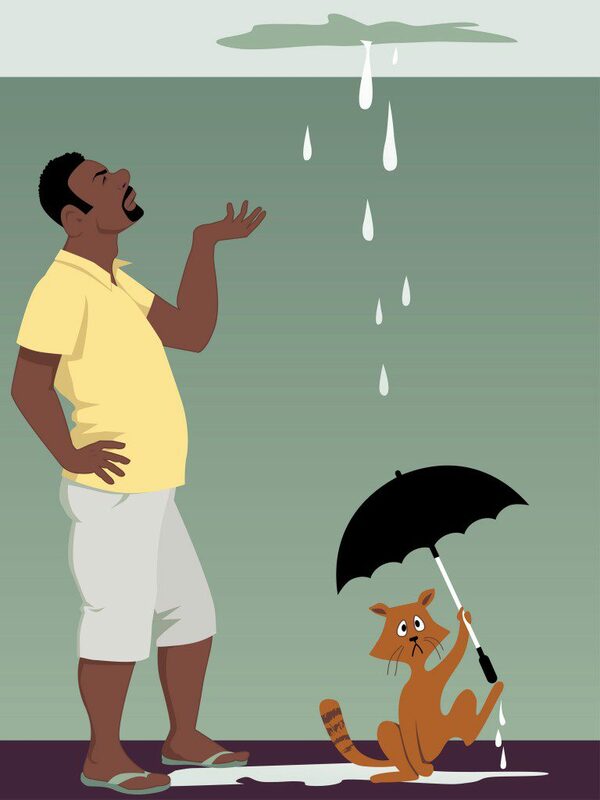 Aim to establish an emergency fund to handle any unwelcome surprises. Moving near or far, get your FREE list of the Top 5 Moving Companies in Las Vegas, PLUS moving tips! mortgage. 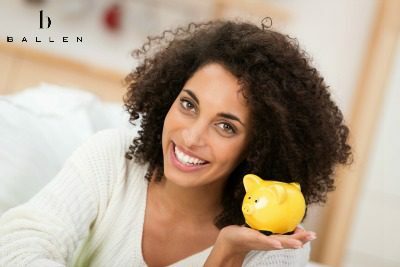 Before underwriting your loan, the lender adds up your monthly expenses, including your mortgage payment and all the costs listed above, and verifies that these expenses do not exceed a certain proportion of your income – a maximum of 43 percent, but most lenders look for a lower debt load of around one-third of your income. After all, they don’t want you to run into financial trouble and not be able to make the monthly payment. Before you close, you’ll receive an estimate that sets out the costs associated with your home loan. In other words, you know up front what your closing costs are going to be and can budget for them. 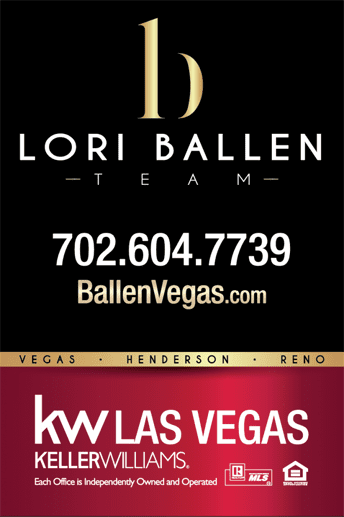 If you’re not sure about anything, ask your real estate agent (702)-604-7739 to reach Ballen Vegas and connect with a lender to guide you through the process. Here is where you will pay your final fees and sign all documents. In Nevada, you can assume about 45 days from escrow to close if you are getting a loan. In this state, you don’t get your keys until everything is signed and then recorded. It’s not done at the table as it is in some other states. Your agent will get you your keys once the home has recorded. Can I buy a property without a Realtor®? There are for sale by owner home listings in the market. You can deal directly with the seller. This being said, using a buyers agent in Nevada is generally paid for by the seller for you. It is in your advantage to have your own solid representation through this process. It’s possible. It’s more probable that you will find a loan program with a low downpayment. Talking to a lender about today’s loan programs costs you nothing. 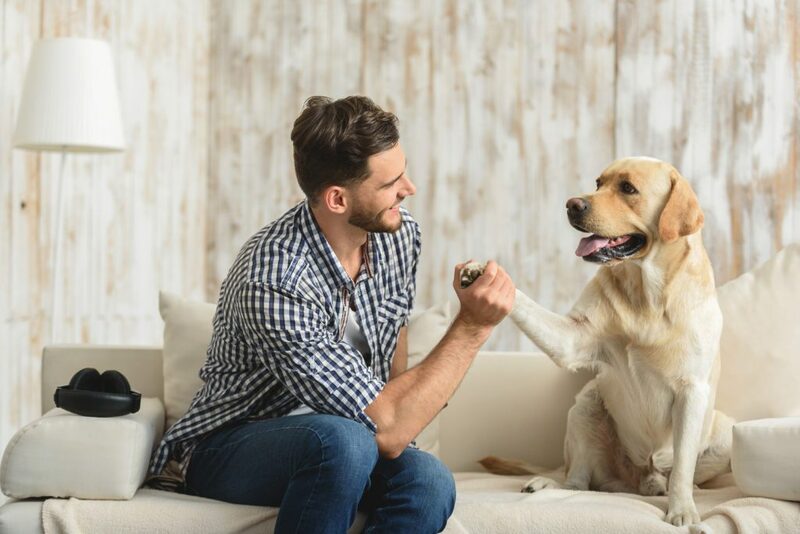 Ask your agent to connect you with someone that can discuss the various types of loan programs on the market today. How do I buy something with bad credit or no credit? This one is going to be more challenging. You may want to consider finding a For Sale By Owner that will owner finance. I’m buying my first home. Will I qualify? Credit Score + Financial status will be the deciding factors. You’ll need a credit score in the 600’s and enough work history to prove your stability. It it smart to be buying AS IS property? When Southern Nevada became a primarily distressed market, we saw a lot of AS IS wording and agreements. ‘AS IS’ basically means the seller isn’t going to make any repairs. This was common in foreclosures and short sales. 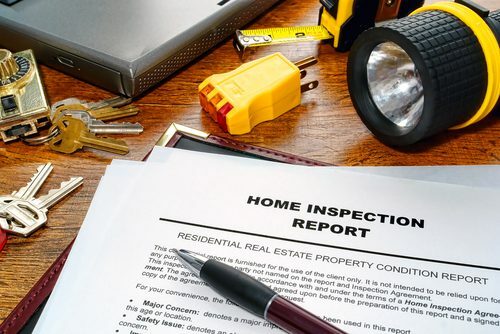 What’s important to note though is that it doesn’t mean you can’t have a home inspection during the due diligence period – which you should. It also doesn’t mean that the seller doesn’t have to provide a sellers disclosure which is a document to inform you of any known issues with the house. 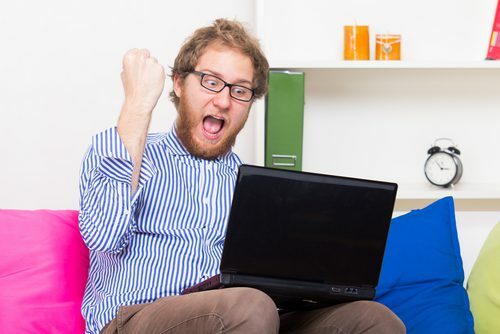 Check out: Will you WIN when you buy new construction? Acceleration ClauseThe acceleration clause in a mortgage contract states that the entire balance of the debt is due and payable in full should the mortgagee default on the mortgage. The annual percentage rate is also referred to as the APR. As required by the Federal Truth in Lending Law, lenders must present potential borrowers with the APR or annual cost of the mortgage. The annual percentage rate should accurately reflect the cost of obtaining and holding a mortgage for an entire year. The APR is designed as a comparison tool so that potential borrowers can select the mortgage that provides the lowest annual cost, provided that they qualify for it. Closing costs are those that are paid during the finalization of the purchase of real estate, which is also referred to as the settlement. 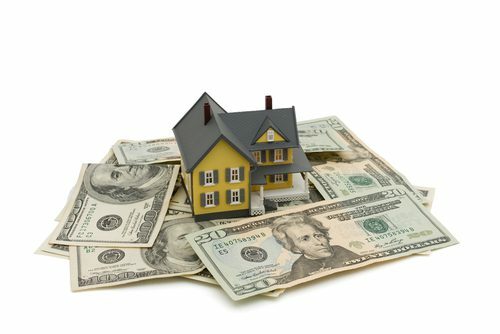 Typically, closing costs include such fees as an origination fee, recording fees, document fees, points, the cost of the title insurance for the property, the payment of real estate taxes either in repayment to the seller or for the escrow account, the cost of the title insurance for the property, fees for any surveys that have been taken, attorney fees (if applicable), and the repayment of real estate taxes. Closing costs can also include other fees such as the payment of insurance on the home. In some cases, the seller might actually pick up some of the closing costs for the buyers, depending on the agreement. The borrower’s credit score is important since it is used to help determine the worthiness of the borrower as a credit risk. Credit scores are based upon the current and past credit histories of consumers. The credit report includes information from many areas including credit card usage, bill payment history, loan history, bankruptcies, employment, and more. 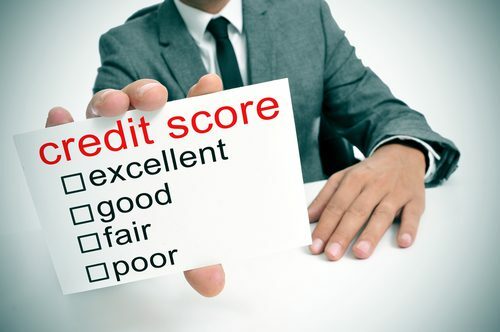 Credit scores assist lenders with the difficult task of determining the risk factor associated with specific borrowers. A fixed rate mortgage is also referred to as a traditional mortgage. This type of mortgage is one in which the mortgage payment is a specified amount that never fluctuates. The interest percentage charged against the borrowed amount remains the same throughout the term of the mortgage. The amount of the mortgage payment that goes toward the principal will gradually increase as the amount of the mortgage payment that goes toward the interest gradually decreases. In an interest only mortgage, the borrower pays only the interest that is due on the mortgage for the first term of the loan. This term is predetermined at the origination of the loan. Ten-year terms are very common for this portion of an interest only mortgage. After this term has passed, the mortgage converts to a fixed rate mortgage with fixed monthly payments that include both the principal and the interest portions of the mortgage. The LIBOR index stands for London Interbank Offered Rate Index. It refers to the average of the interest rates that international banks charge for borrowing United States dollars in the London market. It takes into consideration the rates charged by major banks only. 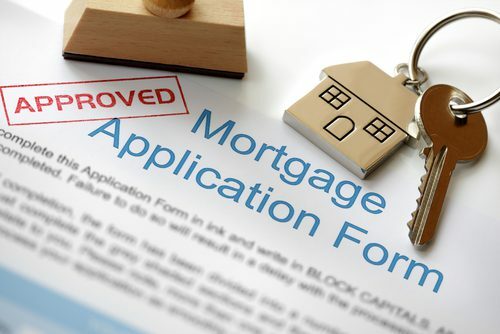 Points are typically charged when a borrower acquires a mortgage. It is simply one of the fees associated with the process. In most cases, a borrower can pay additional points in order to obtain a lower interest rate. Each point is equal to 1 % of the amount of the mortgage. One example would be the following scenario. The borrower acquires a mortgage for $100,000 at 3 points. Since each point is equal to 1 % of the amount of the mortgage, the borrower owes $3,000 or 3% of the mortgage. The lender charges the points. Points can be negotiated by the lender and the borrower for a specific interest rate and term within the limits that the lender is offering. Hopefully, you now feel prepared and no longer wonder how to buy a house. Hiring the right real estate agent mattters, and we hope you will choose Lori Ballen and Associates at 702-604-7739. Call for your 1st time home buyers guide or a home buying checklist of questions to ask your agent. Buying a House in Las Vegas - What to Expect. Purchasing a home is a big decision. There is a lot to consider. There's no real secrets for buying a home as much as there is advice. Even if you have bought a home in Nevada before, you may not remember every step in the process. Here's a guide on How to Buy a house from getting your loan to how to make an offer to how much it will cost you to buy a home. And if you need a written 1st time home buyers guide to buying a home, please let us know.